Have a seat and rest your beer right on top! This is an original Pac-Man cocktail table video arcade game, just like you used to see in your neighborhood bar in the 80s! 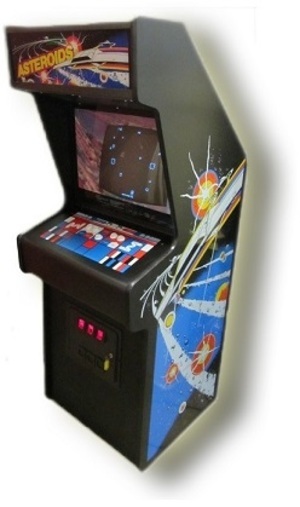 Unlike most other cocktail table arcade games on the market, we offer only original vintage Midway cabinets, which means that you get an authentic vintage arcade game. 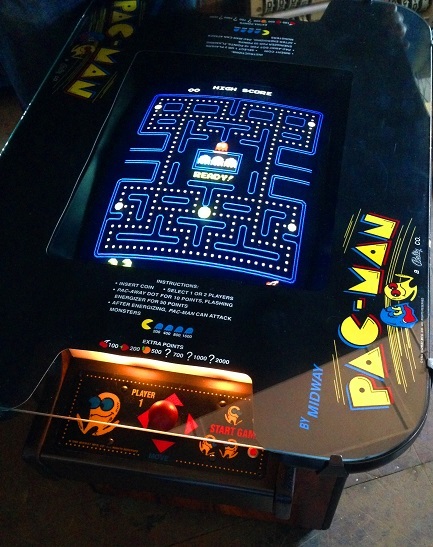 This PacMan cocktail table has been outfitted with new Pac-Man cabinet graphics, updated electronics, and authentic arcade joysticks. 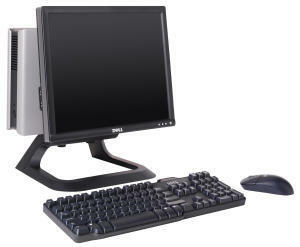 Compete head-to-head: cocktail tables offer two sets of control panels so you get to face your competitor! Just select the two player option, and the machine will flip the screen when its Player 2's turn. 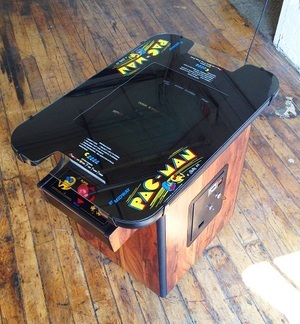 In addition to this original Pac-Man cocktail arcade game for sale, we offer a variety of similar Pac-Man games including Ms. PacMan upright, Ms. PacMan cocktail table, Super Pac-Man upright, and also MultiCade cocktail tables featuring several classics on a single cabinet!